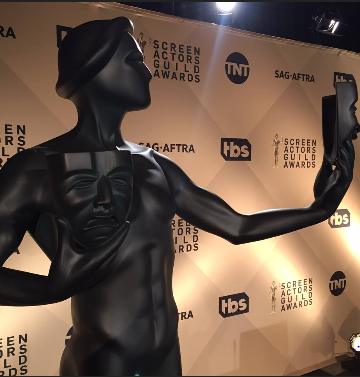 Live Blogging the SAG Awards 2018!!! And now it’s finally here! 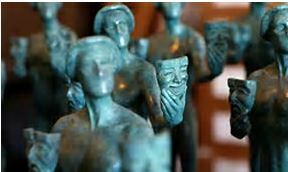 It’s SAG time!The 24th Annual Screen Actors Guild Awards will be handed out tonight in Hollywood and I’ll be here with you, dear readers, dear cineastes trying to capture as many moments as I can. For you to enjoy. 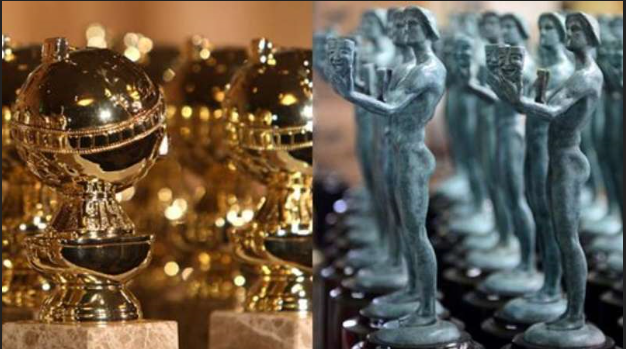 Most of the evening’s time will be spent honoring TV shows…There are only five main awards for film, which is what The Stephen Holt Show and its blog is all about movies, movies, movies. So we’ll skip the TV awards, shall we? And there are no male presenters tonight. No black dresses, as at the Golden Globe Awards. In a show of solidarity for the #Me,too and # Times Up movements. 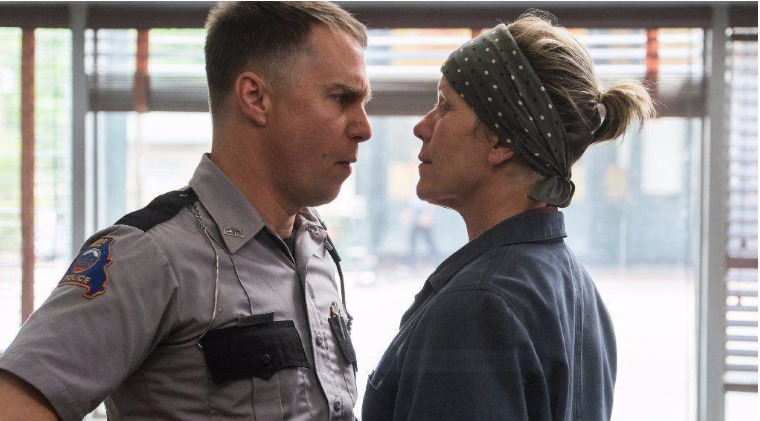 Sam Rockwell, Frances McDorman and Woody Harrelson did introduce the first film clip of those five films nominated for Best Ensemble, “Three Billboards Outside, Ebbing, Missouri.” They are a trio who get along very well. Very comedic. Though the film is deadly serious. But with a deadly sense of humor. Frances, notoriously, fashion-adverse was wearing a sky- blue floor-length gown with kind of a shoulder-covering short cape. 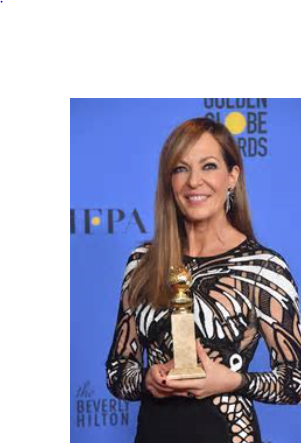 Allison Janney, in a silver lame gown, with padded shoulders. 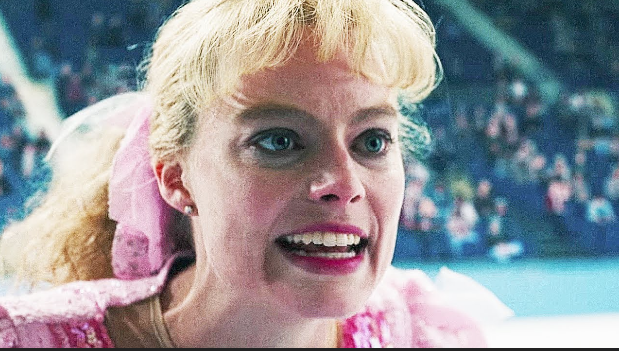 Very elegant, and she thanked co-star Margot Robbie who plays her ice-skating daughter. 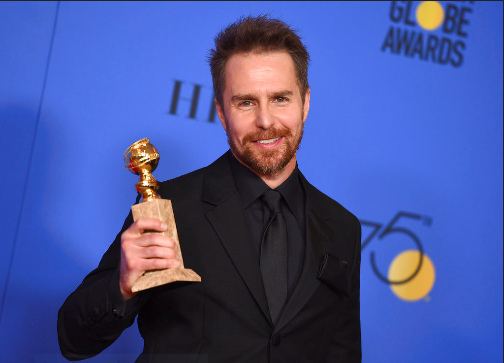 Sam Rockwell wins Best Supporting Actor! Moving speech! “Those of you out there you are trying to be actors, hang in there! Woody Harrelson, I love you very much! Frances McDormand, you are a powerhouse!” He was so happy! He was just projecting happiness all over the room, and that there was so much of it, he would burst at any minute, he couldn’t contain all the joy he was feeling. A beautiful moment. Sam and Allison also both won the Golden Globe and the Critic’s Choice Award in their categories. Looks like it’s going to be a “Three BillBoards” kind of night. 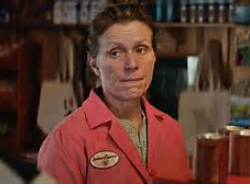 This bodes very well for Frances McDormand in her category. Kumail Nanjiani introduces this section reminding us that there was ONE difference from the GGs. His sweet, smart film “The Big Sick” won Best Comedy over “Lady Bird.” He didn’t phrase it like that, however, and graciously thanked the Critics. Nobody knows how hard we work. 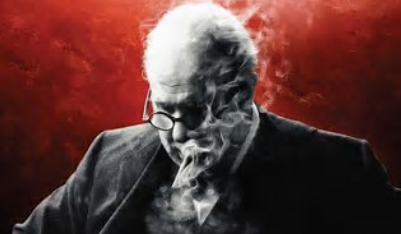 Gary Oldman once again wins Best Actor for “Darkest Hour” for playing Winston Churchill. He slavishly thanks his director Joe Wright , who he forgot on Sunday night. Frances McDormand ONCE AGAIN wins Best Actress in a Drama and she, like co-star Sam Rockwell, is NOT there to accept her award. 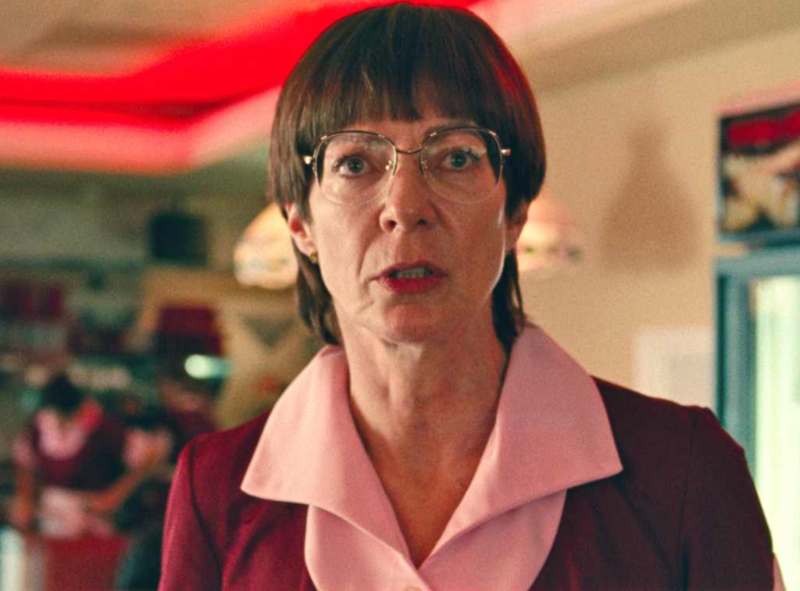 But for sure, she’ll be there on Sunday night for the SAGs. You better believe it. They both will. They are quickly becoming their own Awards juggernaut. So no, not everybody shows up for this show. How embarrassing. 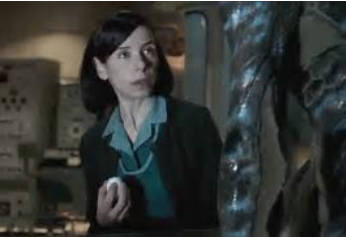 “Shape of Water” wins Best Film! Now THAT’S different. They all look shocked. They were all there and they all piled onstage. 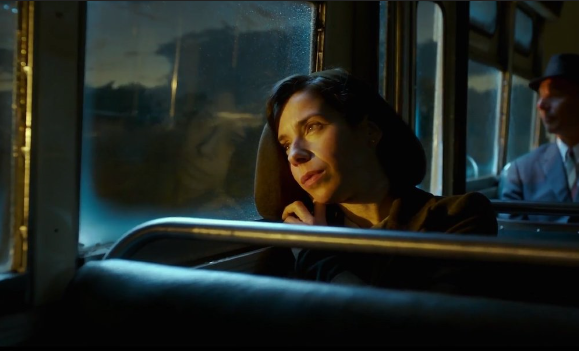 Sally Hawkins and Octavia Spenser, too. 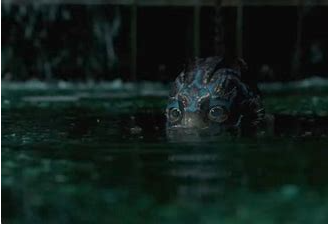 So this gives del Toro a huge lift for Best Director. Maybe no one from “Three Billboards” was there, because they knew they weren’t winning at the end? Biggest shock “Lady Bird” got NOTHING!?!?!?!? NOTHING!?!? 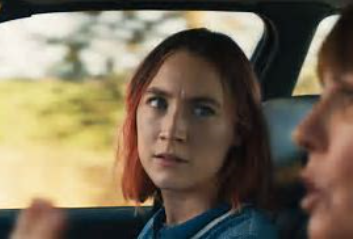 Sooo this a big wake-up call for “Lady Bird.” HMMMM….